We’re excited to offer individual, couple, and child/teen services to a new location! Heart-Centered Counselors is proud to announce the opening of our newest location in Littleton, Colorado. Being able to expand our practice is a true honor. It allows us to help more people and their families heal. As with our other locations, we offer individual, couples, and child/teen counseling in addition to medication management and teletherapy. Your visit can be scheduled online, by emailing help@heartcenteredcounselors.com or calling (970) 310-3406. 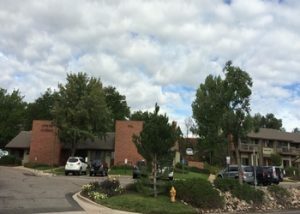 Our newest office is located in the heart of Littleton. It’s a warm and welcoming space that features a comfortable waiting room and a check-in system that’s fast and convenient. After you’ve arrived and checked in, your therapist will greet you and take you back to the therapy offices for your appointment. Everything shared during the consultation and future appointments is confidential. You’ll find the Littleton office located at 5911 South Middlefield Road in Suite 100. In addition to addressing conditions such as depression and anxiety, we provide counseling for people experiencing substance abuse, trauma following stressful events, relationship issues, and domestic violence, to name just a few. We see younger clients children or teenagers, experiencing stress, sadness, anger, parent-child struggles, abuse, neglect, and trauma. Our other spaces can be found in Fort Collins, Greeley, and Loveland. We have seven locations now with the addition of Littleton. As always, our mission is simple. We provide easy access to a full range of counseling services to individuals and families. We invite the good folks living in and around Littleton to meet with our counselors and to learn more about the valuable counseling services we provide. If this is the first time that you’ve sought therapy, know that you’re in excellent hands. Our counselors and therapist are both experienced and tender-hearted. We hope you’ll let us get to know and help you with the issues you’re struggling with.